Case Study Blackjack 256 – Six Month Update – Better Than New Shine! In September 2017, the owner of a new BlackJack 256 reached out to us to help in protecting his investment. In April 2018 we checked in on this boat to monitor the performance of the ceramic boating coating after 6 months. 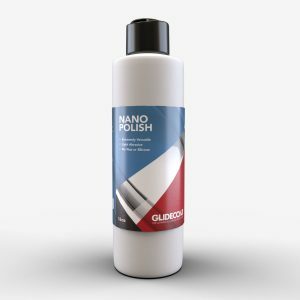 Glidecoat is not only great for older boats with oxidization issues, it is also perfect for brand new boats! 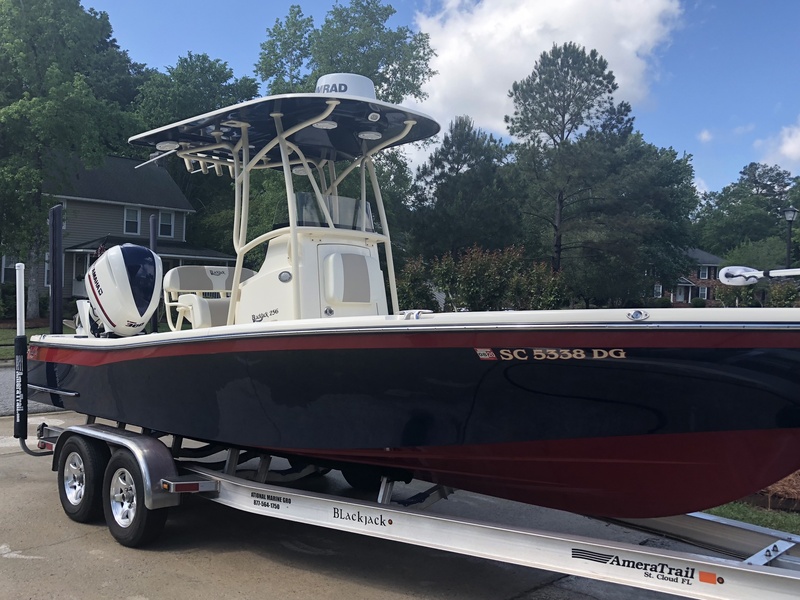 Josh Tysk purchased his brand new Blackjack 256 in August 2017, with a navy blue/red hull. While the dark colored hull looked amazing, Josh realized the importance of protecting the hull so the dark colors didn’t prematurely fade or oxidize. Anyone who has owned a dark colored boat can attest to the struggles of keeping the hull looking clean and shiny. That’s where Glidecoat comes in! 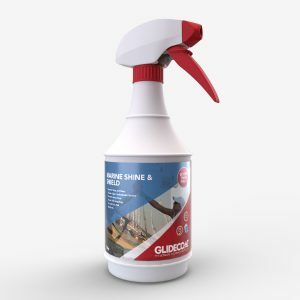 Glidecoat’s ceramic boating coating increases the gloss and shine of a brand new boat by 15% or more while protecting and preserving that shine for 18 months. On new boats, we go through a four-step process to increase the shine and gloss of factory new gel coat. 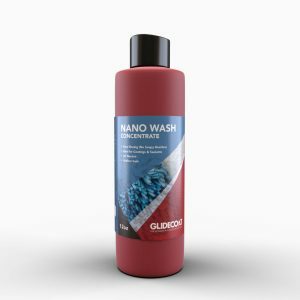 We begin with washing the entire boat with Nano Wash to remove any dirt from the surface. Next, with a foam finishing pad and a rotary buffer, we polish all surfaces with Nano Polish to increase the shine. Prior to applying the ceramic boating coating, we use Surface Wipe to decontaminate the surface, removing any residue from polishing. Finally we apply two coats of Glidecoat ceramic boating coating, which fills in all the pores of the gel coat, bonding with the surface to create a protective, super hydrophobic barrier. In September 2017, the gloss meter readings averaged in the low to mid 80's prior to the Glidecoat Application. After Glidecoat was applied, the gloss meter reading hit 96.7! Six months after the initial Glidecoat Application, the gloss meter readings are still in the 90's, which is still better than factory new gel coat! Josh Tysk runs a fishing charter business in Charleston, South Carolina. In August 2017 Josh purchased a brand new Blackjack 256 with a navy blue and red hull. Given the fact that Josh runs fishing charters, his boat takes a lot more abuse then most, which would take its toll on the dark colored hull. He wanted a product that would help preserve and protect the color on his hull, and also help reduce the amount of maintenance required. One of the most overlooked things when purchasing a brand new boat is preserving and protecting the gel coat. The day you drive your new boat off the lot will be the best it will ever look unless you put the right product to preserve that showroom finish. 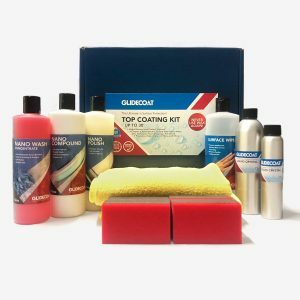 Glidecoat is that product! Glidecoat not only preserves that finish, extending the life of your gel coat, it also increases the shine and gloss of brand new gel coat by 15% or more! Before beginning the Glidecoat Top Coating application the gloss meter readings averaged in the mid to low 80’s, which is consistent with factory new gel coat. 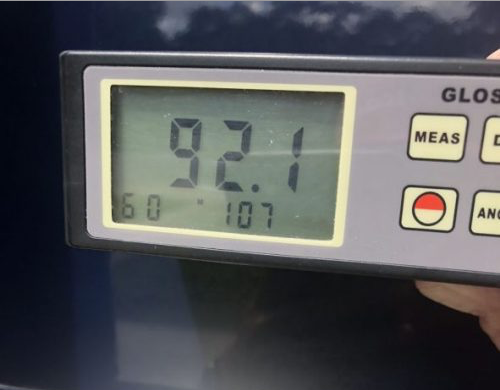 After applying Glidecoat’s Liquid Crystal, the gloss meter readings were off the charts, measuring at an amazing 96.7 which is over 15% higher then factory new gel coat! We did the initial application in September 2017. In April 2018, we wanted to monitor the efficiency of our coating 6 months into the 18 month life cycle of the coating. When we completed the initial application of Glidecoat’s Liquid Crystal the gloss meter readings were as high as 96.7. Six months later, the gloss meter readings come in at 92.1, which is still higher then factory new gel coat! 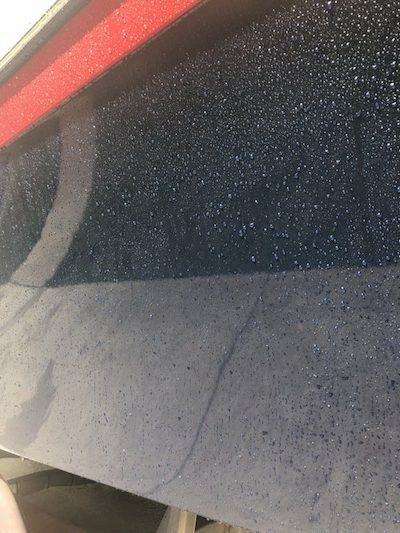 This shows the true value of having Glidecoat Liquid Crystal applied to your new boat. It not only makes maintenance a breeze, allowing you to enjoy your boat to the fullest without the hassle of constantly washing your boat. Glidecoat will enhance the showroom finish of a new boat, giving a better than new finish that lasts for the lifetime of the coating! If you love the look of your new boat and you want to keep it that way, Glidecoat ceramic boating coating is for you!